August 7, 2016 Surrey and Wiltshire, England - We grow up on a planet where we are taught that there are three matter dimensions of space in x, y and z axis and that Time is a “boundless 4th dimension” through which the matter moves. But those don't explain the force of local and large-scale gravity or the three fundamental other forces of electromagnetic, strong nuclear and weak nuclear. Superstring theory is an attempt to explain all of the particles that make up matter and the four fundamental forces of Nature as vibrations of tiny supersymmetric strings. In supersymmetry, a Superpartner, also known as a sparticle, is a hypothetical elementary particle that would act as a “partner.” For example, each fermion would have a partner boson. The partner boson would be the fermion's Superpartner. Also, each boson would have a partner fermion. If this hypothesis were true and there is “unbroken Supersymmetry,” then particles and Superpartners would have identical mass. 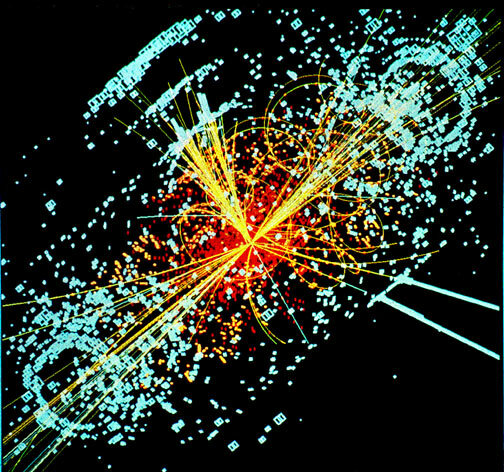 Some researchers have hoped the Large Hadron Collider at CERN in Geneva, Switzerland, might produce evidence for the existence of superpartner particles, or sparticles. Previous PostPrevious UPDATE Part 1: Was Bismuth/Magnesium Layered Metal in NM UFO Crash A Superconductor?